The I/F 10 module is designed to make very low RDS (Resistance Drain to Source)and VDS measurements. IF10 modules make RDS measurements of less than 1 ohm. The size of the IF10 was purposely designed to have a small 8" X 2" X 6" (20.3cm X 15.2cm X 5cm) package size. This allows for close placement to the DUT, reducing cable lengths. Is fully programmable from the tester requiring no internal jumpers or switches. Easily connects to the standard FETtest coax cable modules. 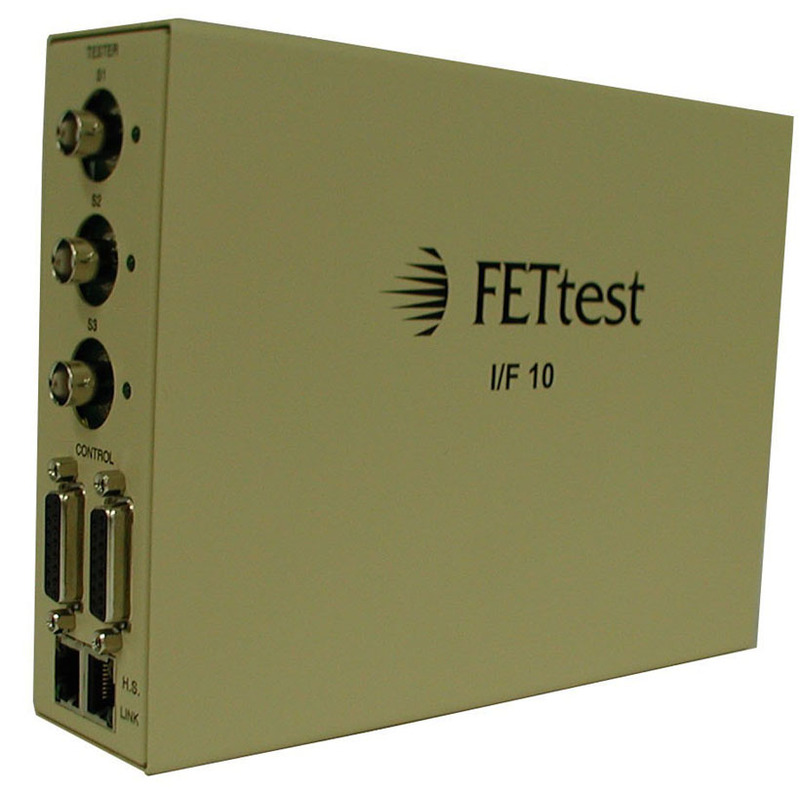 The IF10 module is used in conjunction with the FETtest 3400(E)/3600(E) test systems. Please call to verify compatibility with your system. Please call 408-778-0234 , or email info@fettest.com for more information.